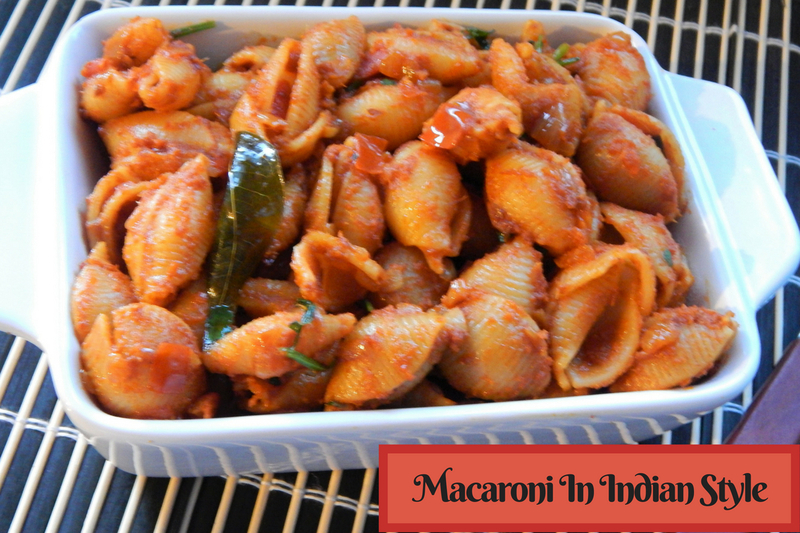 Today, I am sharing my version of making Macaroni recipe in Indian style, which is very simple and easy to make. I made this recipe using chili and coriander powder, you can adjust the spices according to your taste. Here I made this recipe a little bit spicy. 1. Cook the macaroni according to package instructions. Keep aside. 2. Heat a pan with oil, add cumin seeds and once they begin to crackle, add chopped onions and fry till they are translucent. 3. Add ginger garlic paste and cook till the raw smells go out. Add chopped tomatoes followed by turmeric and salt. Cook till the tomatoes are mashed. 4. Then add the cooked macaroni along with chili and coriander powder and cook on high flame for 2 minutes. After 2 mints cover and cook for 5 minutes. 5. Finally, add chopped coriander leaves and transfer to a serving bowl and enjoy the macaroni. Today, I am sharing my version of making Macaroni recipe in Indian style, which is very simple and easy to make. I made this recipe using chilli and coriander powder, you can adjust the spices according to your taste. Here I made this recipe a little bit spicy. Cook the macaroni according to package instructions. Keep aside. Heat a pan with oil, add cumin seeds and once they begin to crackle, add chopped onions and fry till they are translucent. Add ginger garlic paste and cook till the raw smells go out. Add chopped tomatoes followed by turmeric and salt. Cook till tomatoes are mashed. Then add cooked macaroni along with chilli and coriander powder and cook on high flame for 2 mints. After 2 mints cover and cook for 5 mints. Finally, add chopped coriander leaves and transfer to a serving bowl and enjoy macaroni. Delicious Indian version of pasta.. I make it often too. Love this kind of Indian tadka maar ke fusion dishes the pasta blow looks tempting. 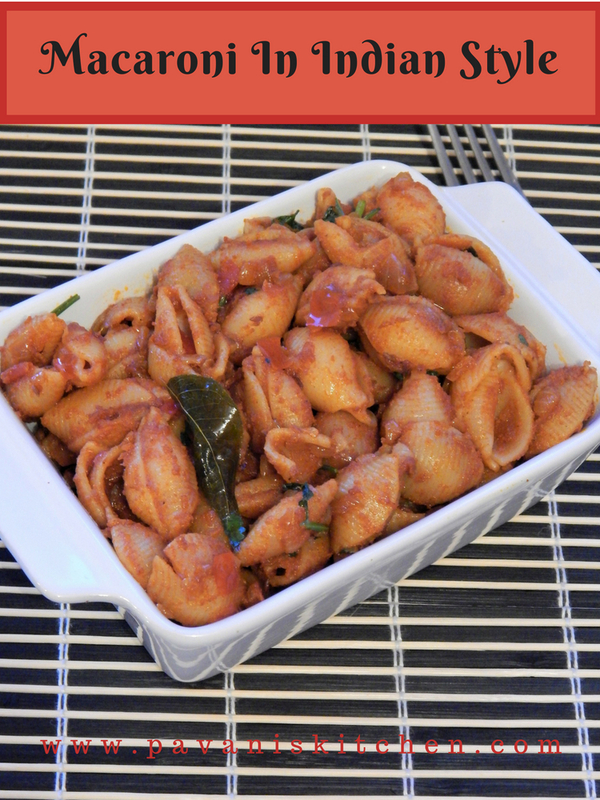 This Indian version of pasta is always a hit at home…yours looks so delicious and tempting!! Loved the Indian fusion to pasta dish. I am definitely going to try this next time . Pasta is a frequent flyer at my place too! 🙂 This one looks indeed look so delish and appetizing! Desi style Macaroni’s are my favorite. I also make this dish in a similar way with ginger garlic paste and a bit of garam masala, But my husband prefers white sauce. However, I enjoy this way. Lovely share! Yum, love macaroni..It look so delicious. Thanks for sharing the recipe. Desi style Macaroni is favourite at my place too. Yours looks so inviting ! We Indians are amazing, whatever cuisine out there, never forget to add Indian Tadka! we Indians can make any dish in our desi style 😉 The bowl looks really so delicious and tempting !! Who doesnt love a desi twist ? This sounds simple and easy to make. Lovely. Love this tadka macaroni. Will definitely enjoy it.